Product prices and availability are accurate as of 2019-04-20 04:04:01 EDT and are subject to change. Any price and availability information displayed on http://www.amazon.com/ at the time of purchase will apply to the purchase of this product. 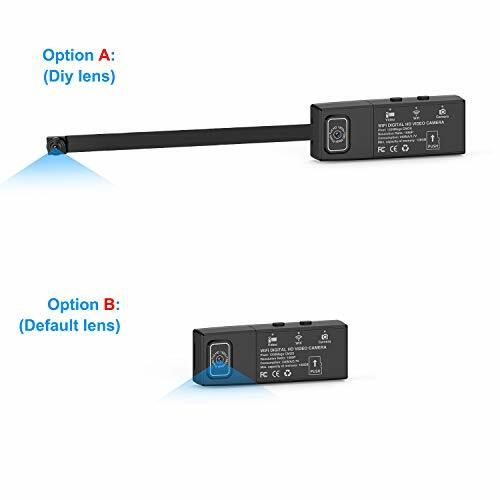 The 2-lens mini spy camera has 2 DIY lens which make the hidden camera very easy to carry and install in different spy situations. You can always keep an eye on your shop, office and loved ones. The resolution is 1080P which makes the pictures and videos very clear, you can see every person’s face and each detail. 1. 2 flexible Lens make the spy camera hidden anywhere. One lens is built in the camera, the other lens is 15cm (6 inch) long, which can be DIY by yourself. 2. 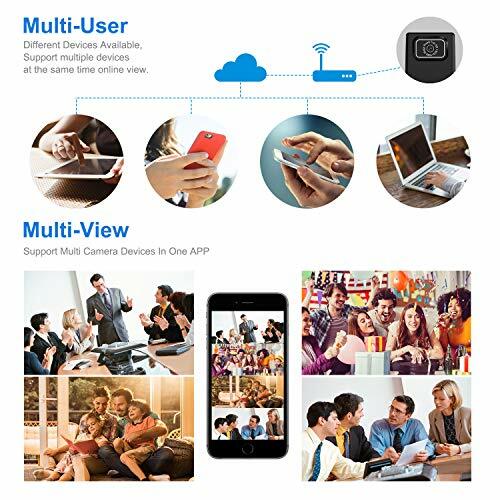 The hidden camera has a USB port that can be connected to any USB charger like your mobile device or PC. The hidden camera also has inbuilt battery which can work almost 2 hours. 3. 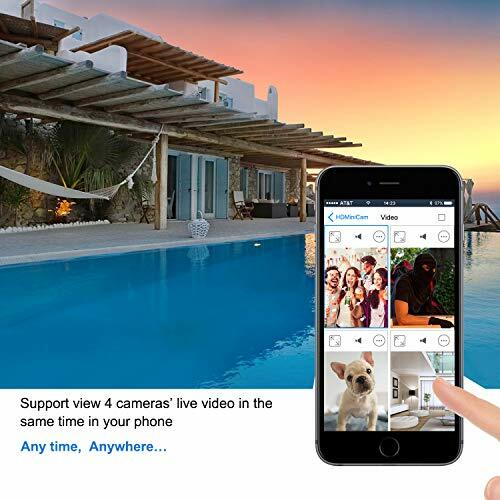 This WIFI Spy Camera can work on WIFI or no WIFI. When the wifi is not available in some situation, please use camera’s hotspot, it also allows real-time recoding and snapshot. Besides, the mini spy camera has manual record and snapshot function. 4. Motion detection & Alarm push. When someone illegally get into your house, you will get a motion alert from your mobile. Keep everything in your control. 5. HD 1080P makes each face recognizable. The HD resolution help you save troubles of blur faces and other detail. 1.Strong Function SPY CAMERA: This is a HD hidden mini camera, Support real-time video, snapshot. Super small DV video camera with 2 DIY lens. Built-in lens or extended lens could be installed as you want. Workable to protect your family and valuable belongs from harm for home/hotel/workplace surveillance. 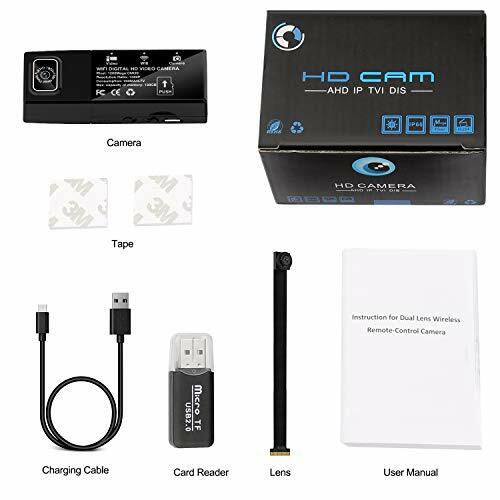 2.1080P FULL HD Spy Cam: Videos recorded by the spy camera are recorded in clear 1080P HD video, giving you a clear view of any room. Easily see what's going on anywhere you need to set up covert video surveillance. Support adjust resolution (1080P, 720P) as well. 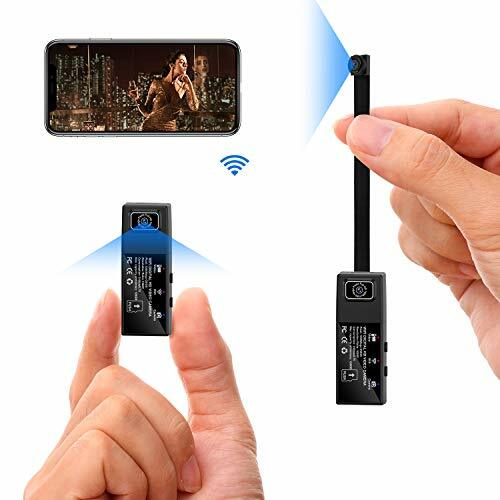 3.HIDDEN CAMERA Work with/without wifi: This wireless Wi-Fi spy camera hidden camera could be connected to the internet network, so you could live-stream your footage from anywhere in the world. In addition, if without wifi, the camera could be taken video/snapshot too, just press the buttons to save the files in SD card(not included). See playback in your computer afterwards. 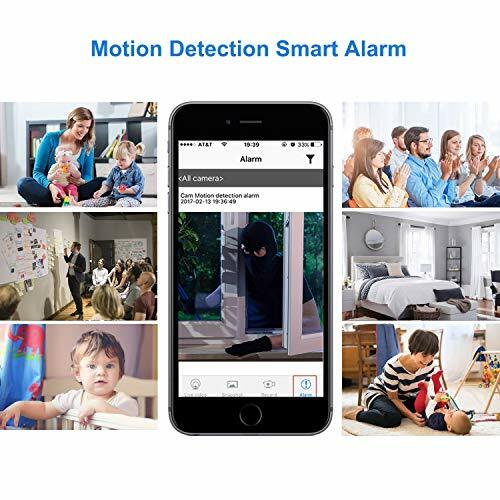 4.MOTION DETECTION NANNY CAM: Intelligent motion detection and App push notification, When motion is detected, this WiFi nanny camera will takes a picture and pushes a message to your phone. You can also record at a certain time or motion activated record. 5.Loop Recording and Time Stamp : The date and time stamp can be adjustable and loop recording is defaulted to overwrite the oldest file with the newest which is also adjustable. (Loop recording turn on/off and time stamp fix could be adjust as your want).